Join us for a business networking social on Tuesday, November 14 from 5 to 7 pm in the newly expanded Launch Accelerator, 306 West Franklin Street. Learn more about economic development, Launch's recent expansion, and connect with fellow businesses and entrepreneurs in Chapel Hill. This event is sponsored by Chapel Hill and Orange County Economic Development offices and is held in partnership with Launch Chapel Hill and the Chapel Hill Downtown Partnership. This event is free, but is limited to 75 participants, so sign up today! For questions contact Meg McGurk at 919-967-9440 or meg@downtownchapelhill.com. Town of Chapel Hill Development Services sometimes hear that builders or homeowners think working without permits is a good idea because of the time and expense related to obtaining building permits. Please join a well-known local builder and Town staff who will put that concern to rest, and share with you all the long-term, less obvious benefits of permits. They will also address how to make getting a permit easier for builders in attendance. Come Learn With Us: “Permits: Why They Are Your Friend” is offered at noon Thursday, Nov. 16, in the Council Chamber of Chapel Hill Town Hall, 405 Martin Luther King Jr. Blvd. Welcome are builders, homeowners, realtors, and others to this short, informative, lunch-time event. Pizza will be provided. For more information, please contact developmentservices@townofchapelhill.org or visit www.townofchapelhill.org/permits. 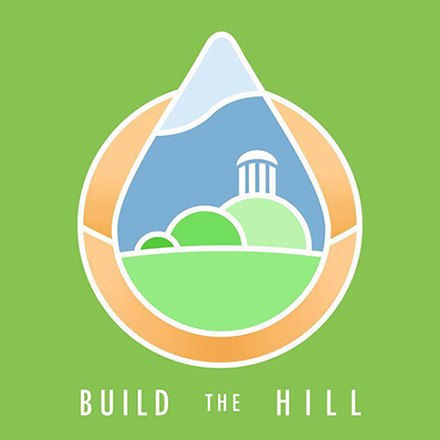 Build the Hill is a UNC student-led microfinance initiative that seeks to spur small business development in the Triangle area. They are now accepting applications from businesses. They offer a range of free services to small businesses including technological support and website development, marketing and business consulting, and interest-free loans ranging $5-10K through partnership with KivaZip You can find the application and contact information at www.buildthehill.org. The Chapel Hill Downtown Partnership is working to bring together the resources of the Town, University and downtown community to maintain, enhance and promote downtown as the social, cultural, and spiritual center of Chapel Hill through economic development. Learn more at www.downtownchapelhill.com. Copyright © 2017 Chapel Hill Downtown Partnership, All rights reserved.